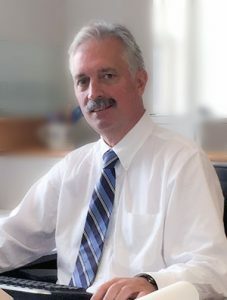 Barry Buchinski, president of Blackstone Block Architects, Inc., has worked for over 38 years in architecture, planning, adaptive reuse and historic preservation. His experience in planning, design and construction technology is an invaluable asset to the firm. Barry has recently concentrated on the design of complex building types ranging from the new Area D4 Police Station for the Boston Police Department to the preservation and renovation of numerous historic landmarks in Boston, Greenfield, Lowell and Turners Falls. He is currently the Principal-in-charge for five new HUD 811 Special Needs Housing projects located in Massachusetts as well as the renovation and addition to the historic building located at 120 Blackstone Street in Boston. With a strong commitment to public service, Barry has been actively involved with local building committees and in community affairs, as well as being instrumental in the success of several planning proposals in his local home town. Barry’s recognized role as an advisor to the community further enhances BSBA’s strengths as a design firm committed to understanding client needs and providing the highest level of professional service. • Office for Professional Liability Research, Inc.
• Schinnerer Management Services, Inc.